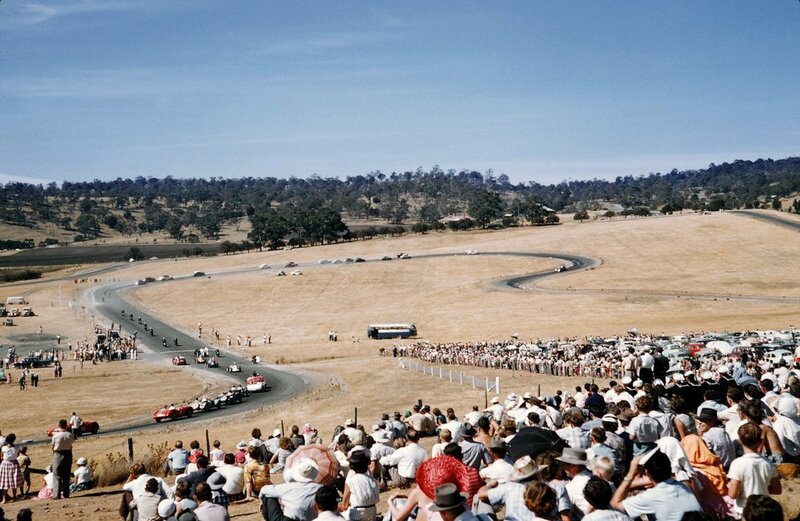 The Motor Racing circuit is situated on Baskerville Road North of Hobart, The track is a permanent layout situated in a natural amphitheatre and opened in Febuary of 1958 by the Hobart Sporting Car Club. 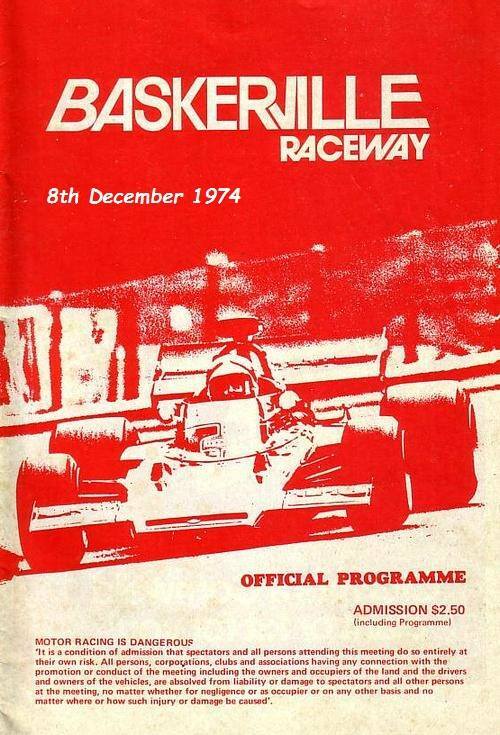 Baskerville is beleived to be one of the longest running tracks in Australia and has hosted many Championships for Touring Cars, Sports Sedans, Formular 2's, Motor Cycle including Super Bikes, Formular V's and the inaugural Tasmanian Historic Motor Cycle Championships in 2011. 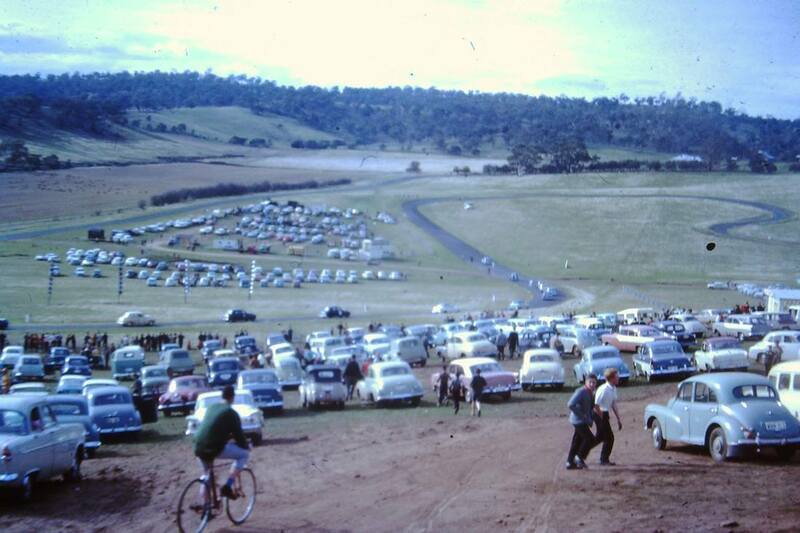 1958 - Photo of possibly the opening meeting at Baskerville Raceway. Photo: Bob Young. 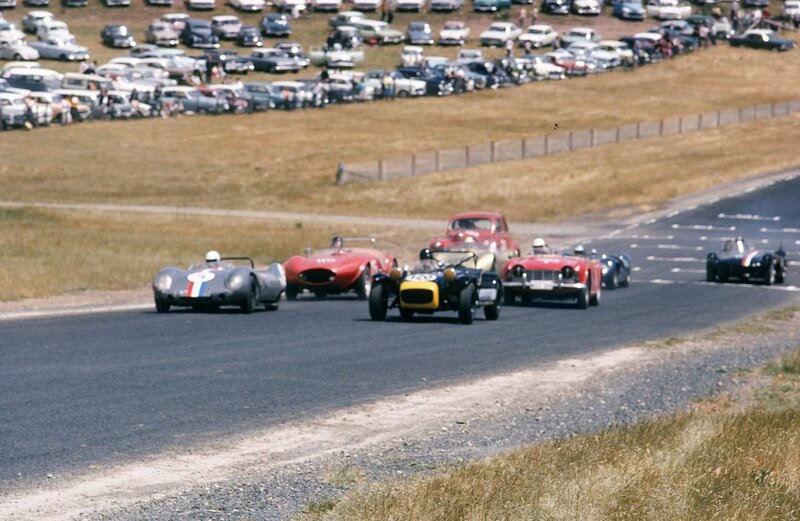 1958 - Front row consisting of a Aston Martin, Triumph TR2 and a Porsche, with Mick Watt off the 2nd row in the Prefect Special. Photo: Bob Young. 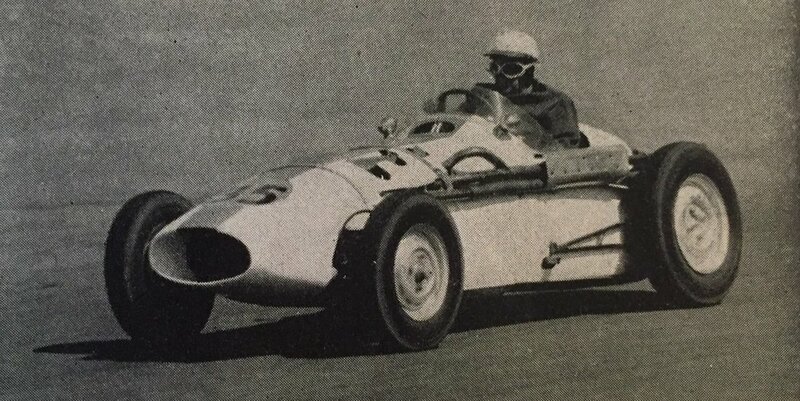 1959 - The Don Elliot Special in action at Baskerville raceway. Photo: Graham Edney. 1963 - Photo: Adrian Price. 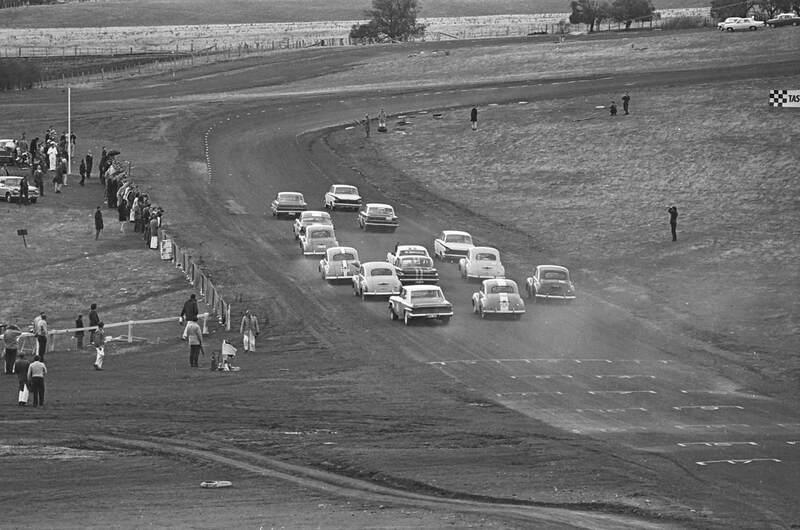 1966 - Sedan Car racing at Baskerville Raceway. Photo: Reg Dalwood collection. 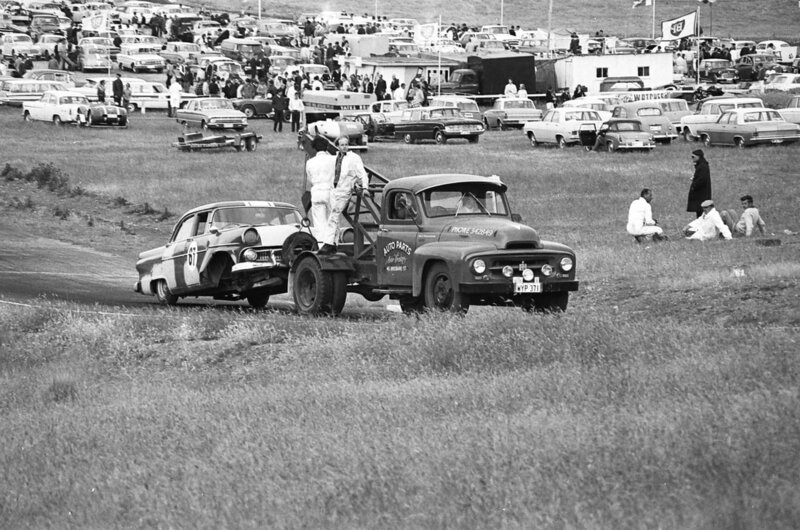 1966 - It was a sad day out for Rod Butters in the ex Cook then Goss Ford Customline. 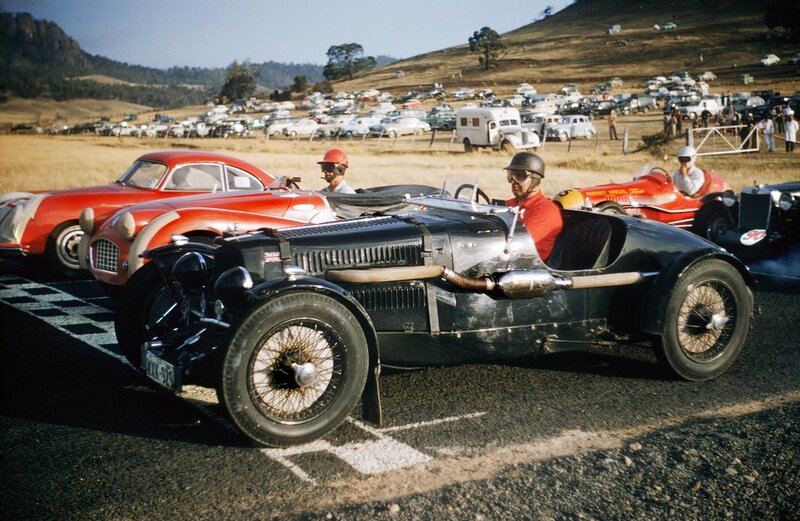 Photo: Reg Dalwood collection. 1971 - Robin Bessant in the ex Don Elliot Mustang at Baskerville. Photo: unknown.